Les Bouches Bées in Montreal or Quebec City? 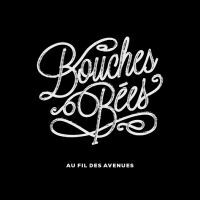 Inform me about the next events for Les Bouches Bées. Enroll yourself to our priority waiting list for Les Bouches Bées to be alerted when new tickets are available. Filling this form doesn't engage you to any purchase. Les Bouches Bées are a musical group that specializes in country music. Three ladies that deserted the traditional instruments for a more accoustic sound. Roxanne Filion, Flavie Léger-Roy and Raphaël D'Amours are the founding members of the group and have already performed at the Montreal's Jazz Festival. They're now in concert at the Salle Émile Legault. Please consult our web site for more information on our best tickets for this event.